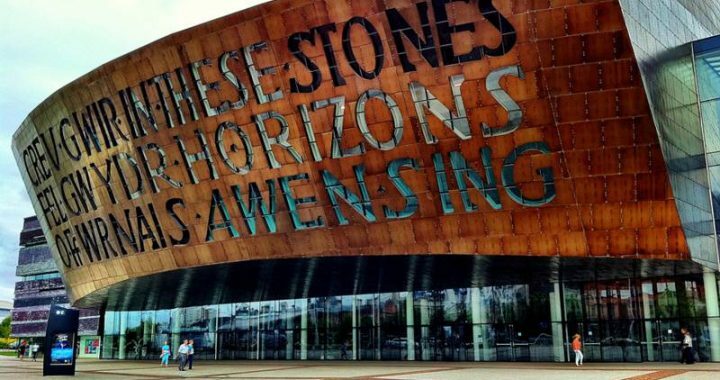 As you know, one of our Storage Giants is based in Cardiff, so we thought it might be interesting to have a look into the history of the city and see what unusual facts we could uncover. 1. Roald Dahl grew up in Cardiff and was christened in the little Norwegian church in Cardiff Bay and you can celebrate his birthday on 13th September at the Roald Dahl festival. Dahl’s semi-autobiographical book ‘Boy’ was set in Wales, so let us know if you can recognise any of the places he mentions. 2. Cardiff is one of the flattest cities in Britain and has more hours of sunlight than Milan, so anyone who complains that it’s always cloudy and raining in Wales is mistaken! 3. Cardiff has more green space per person than any other UK core city, so why not go and have a wander around Roath recreation ground or Bute Park and see for yourself. 5. Llandaff Cathedral stands on one of the oldest Christian sites in Britain and was built by the Normans in 1077, although there has been a small church there since 560AD. 6. Cardiff is home to the world’s oldest record store, Spillers, which opened in 1894. However, sadly in 2010 Spillers was forced to re-locate to Morgans Arcade where you can still find it today. 7. The world’s first £1million cheque was signed in Cardiff’s coal exchange. 8. Ifor Bach, the Welsh Lord of Senghenydd, attacked Cardiff Castle in 1158 and kidnapped the Earl of Gloucester and his wife. 9. Cardiff was the first UK city to be twinned with China. This was in 1983 and the city’s name is Xiamen. Cardiff is also twinned with Stuttgart (Germany), Nantes (France), Baltimore (USA), Lugansk (Ukraine) and Hordaland (Netherlands). 10. In 1897 Cardiff Corporation appointed a mole-catcher. If you are interested in the history of Cardiff then you can find a variety of historical pictures of the city here. If you have any other facts that you think we have missed then please get in contact and we shall ad them for you! You can email me.